Designed to fit on the rack of the Rac n Roll Dance Bag, this cosmetic bag has multiple pouches to hold plenty of makeup and other accessories (sold separately). Applying last minute touches to your makeup will be the easiest thing in the world! 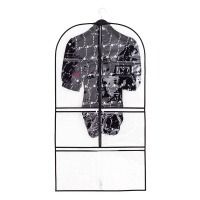 Used in conjunction with the dance bags, Rac n Roll Mirror, and Rac n Roll Garment Bag, you'll have a complete on-the-go dressing area for all your dance competitions and performances. 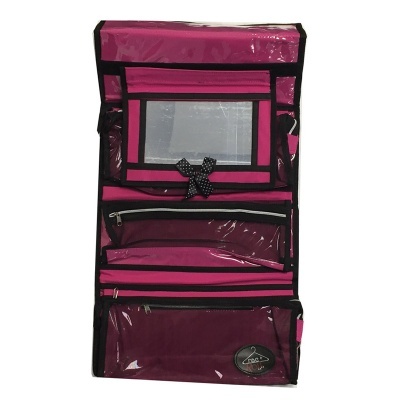 The cosmetic bags are available in three different colors which coordinate nicely with the Rac n Roll dance bags. Measures 20 x 14 x 3 inches.